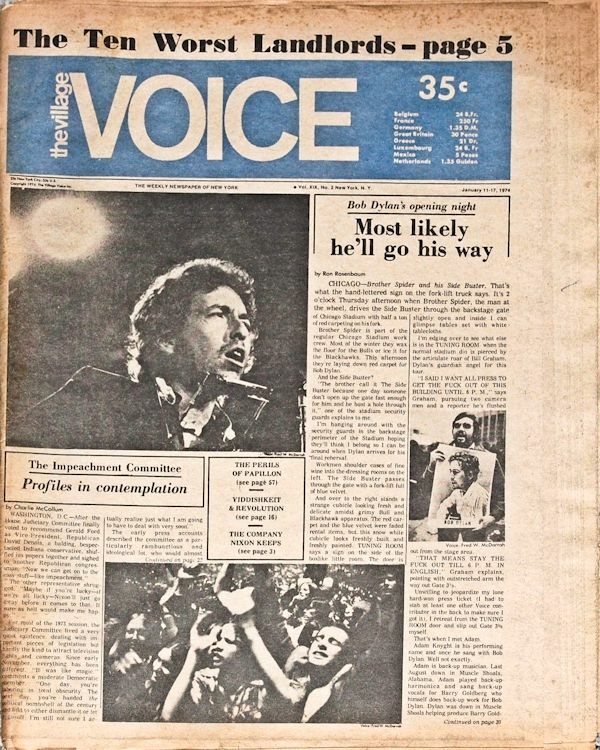 THE VILLAGE VOICE, NYC, USA. 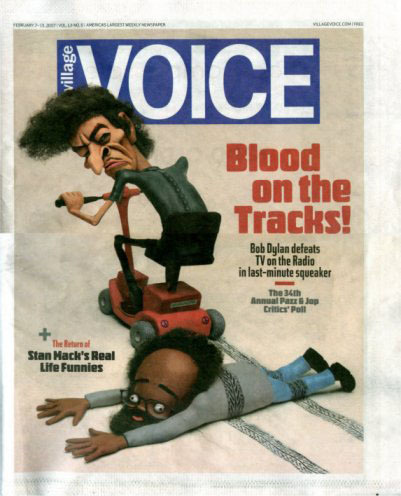 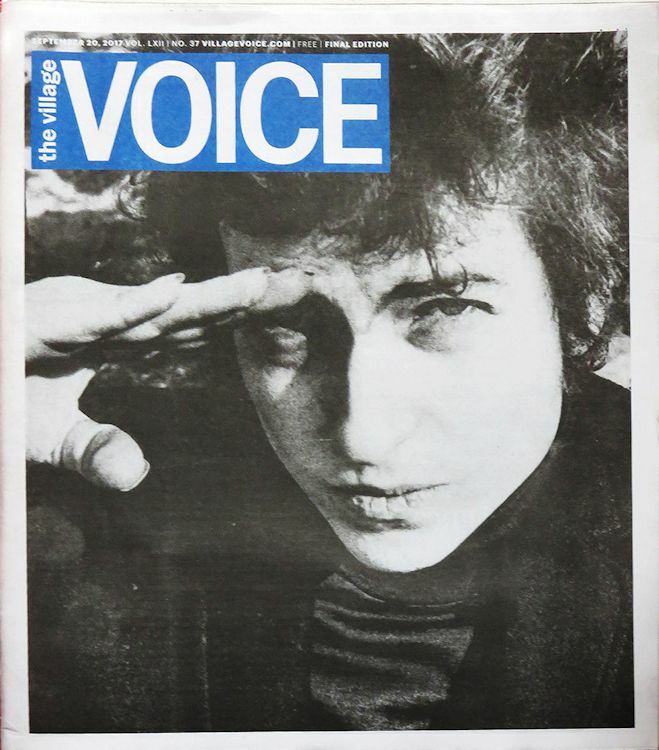 The Village Voice is an American news and culture paper, known for being the country's first alternative newsweekly. 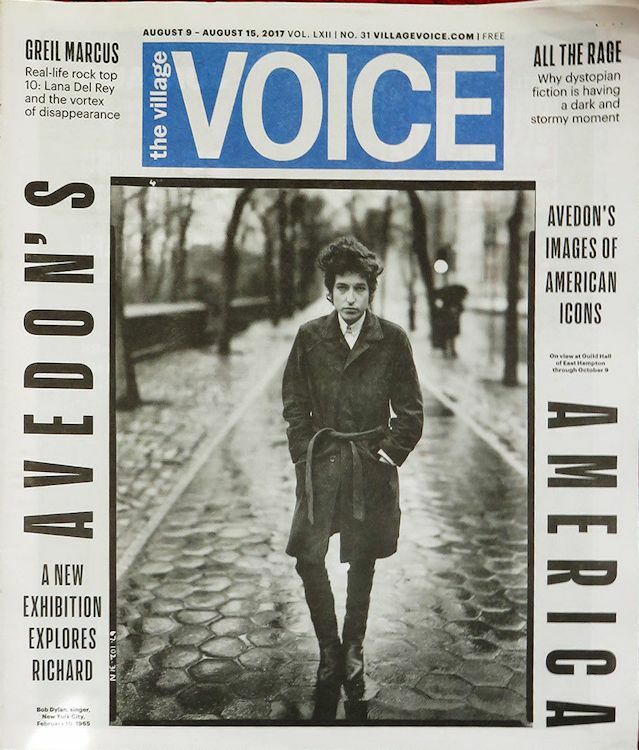 Founded in 1955 by Dan Wolf, Ed Fancher and Norman Mailer, the Voice began as a platform for the creative community of New York City. 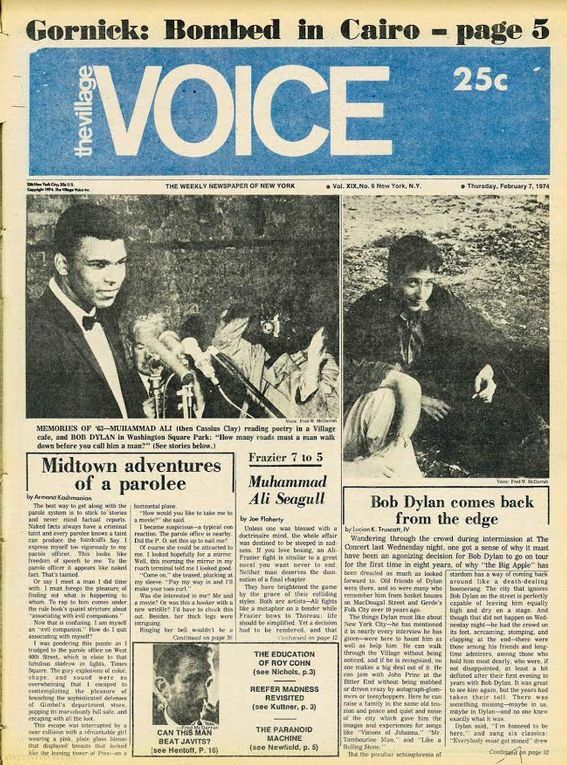 Since its founding, The Village Voice has received three Pulitzer Prizes, the National Press Foundation Award and the George Polk Award. 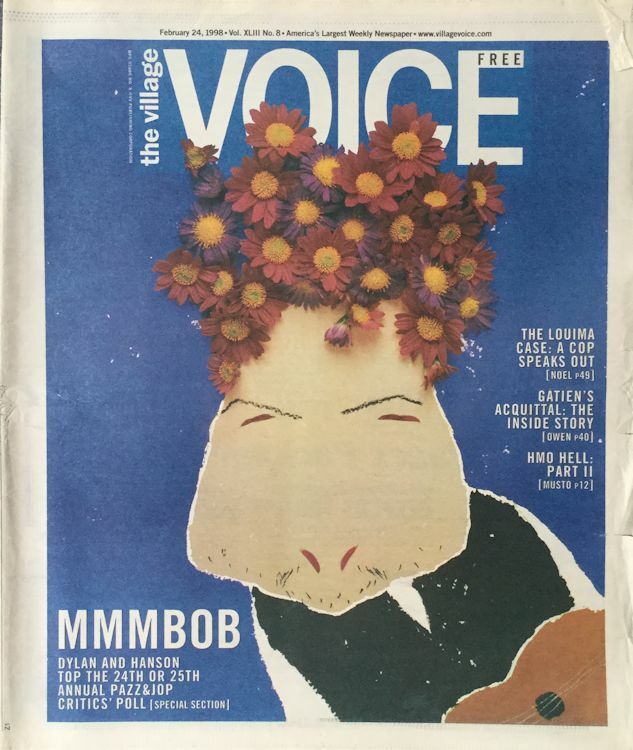 The Village Voice has hosted a variety of writers and artists, including writer Ezra Pound, cartoonist Lynda Barry, and art critics Robert Christgau, Andrew Sarris, and J. Hoberman. 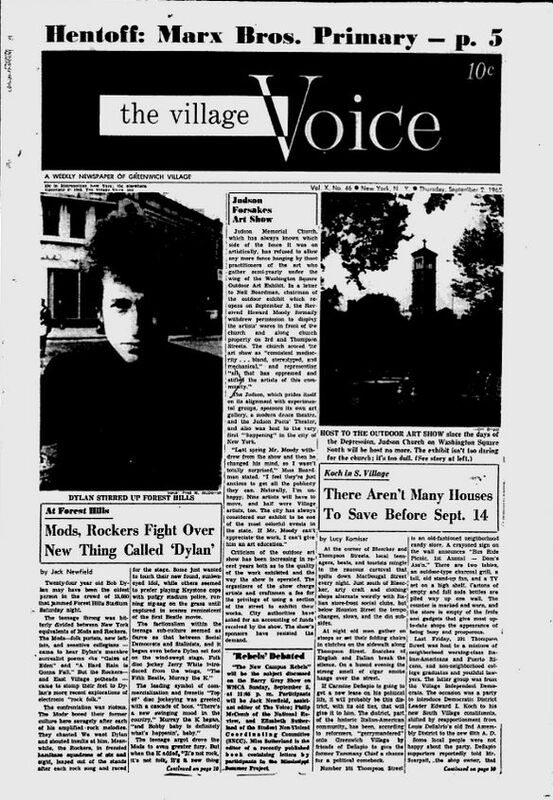 20 September 2017, Final Edition. 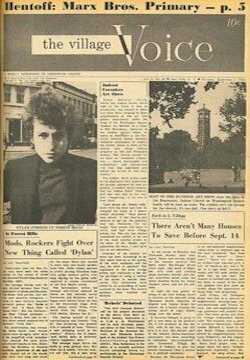 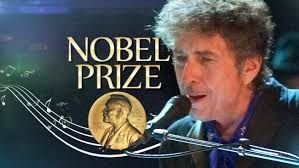 Bob Dylan is on the cover, saluting the last printed edition of the famous NYC newspaper, after 62 years of paper publications.